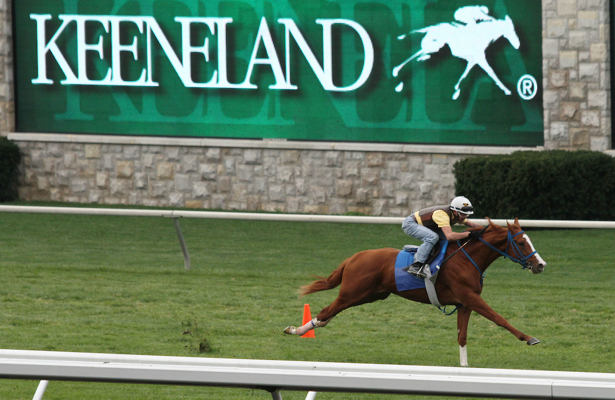 Equibase Company, in partnership with Keeneland and at the request of the Kentucky Horse Racing Commission, conducted a test at the Lexington, Ky., track to collect workout data using global positioning satellite technology, it was announced Wednesday. Equibase currently has GPS systems at Woodbine Racetrack, Golden Gate Fields, Laurel Park and Pimlico, and is the official timer at those tracks. Equibase’s GPS technology partner, Total Performance Data, is based in the United Kingdom and has more than a dozen tracking systems deployed there. The goal of the six-week test, held September through October 2018, was to identify issues and potential solutions for using GPS technology to track workouts. Results of the study revealed the technology performed well overall and demonstrated the power of being able to track multiple workouts simultaneously. However, further testing is needed with respect to the logistics of using this technology for workouts. In addition to the increased ability to handle large numbers of horses on the track simultaneously, using GPS to collect workouts would make significantly more data available to the public and trainers, including times for any portion of the work, stride length, and times for the run-up and gallop-out segments of the work. The benefits of GPS for racing include timing and the ability to provide comprehensive data for each runner during the entire running of the race, which can be used to drive on-screen graphics as well as positions and margins for charts. Next steps call for Equibase to continue to conduct additional workout testing at Golden Gate Fields and expand the number of installations at tracks in 2019.